Born: 1911-10-25. Died: 1971-10-25. Birth Place: Irkutsk. Yangel was born in Zyryanova in Irkutsk, Siberia. In 1926 he moved to Moscow to join his older brother Konstantin. He worked at first in a weaving factory, but managed to be accepted for admission to the Moscow Aviation Institute (MAI) in 1931. He graduated in 1937 and went to work at the Polikarpov fighter design bureau. In 1938 he went to the United States and was trained in a factory there as part preparation for licensed production of American aircraft. On his return to Russia he was named an assistant of Polikarpov, and in 1940 made deputy director of the main Polikarpov factory in Novosibirsk. In March 1944 he took a post with the Mikoyan fighter design bureau, and then in January 1945 was named a lead engineer in Myasishchev's bureau. He worked briefly in the bureaucracy of the Ministry of Aviation Industry before being sent for a higher degree to the Academy of Aviation Industry in 1948 to 1950. On 12 April 1950 he was appointed chief of the guidance systems section at Korolev's ballistic missile research institute NII-88. At this time, in the aftermath of the R-3 fiasco, NII-88 was conducting a fundamental re-examination of missile technology possibilities and designs. Yangel was deeply involved in these, especially with the R-5 (, R-11, and R-12 designs. Due to this extensive preparatory work, Yangel completed and delivered the six volume R-5, eight volume R-11, and R-12 drafts projects forty days after receiving formal go-ahead. Yangel seems to have become convinced that operational military missiles should use toxic but storable propellants � a position that Korolev and his lead deputy Mishin totally disagreed with. In May 1952 Yangel was named director of NII-88. This made him the supervisor of Korolev (who was still officially a convicted enemy of the state). Yangel was a committed Communist with good connections with missile czar Ustinov. In February 1953, just twenty days before his death, Stalin ordered parallel development of the R-5, R-11, R-12, R-7 ICBM, and EKR intercontinental cruise missile. While these new rockets were being designed, a facility at Zlatoust had been selected for production of the R-1 rocket (the Soviet copy of the V-2) in 1949. But the work dragged on without results, and on 1 June 1951 secret police chief and secret weapons manager Beria switched R-1 production to Factory 586 at Dnepropetrovsk. The plant was equipped with equipment looted from German Porsche and BMW plants after the war and at that time was producing tractors. The first Dnepropetrovsk production R-1, albeit still containing many parts and assemblies fabricated at NII-88, was finally completed in June 1952. At the end of 1953 Khrushchev decided to decentralize the missile industry, since a single nuclear bomb on Moscow would wipe out Korolev's factories. Ustinov was requested to draw up a plan for two additional completely independent missile design bureaus, one in the south of the Soviet Union. This effort cost tens of billions of rubles. While the managers and lead technical staff would be taken from Korolev's bureau, the working engineers, technicians, and workers for the bureau and associated factories would be recruited locally at each site. This would avoid the additional expense of building extra housing. Korolev fought to keep control, wanting to make the new bureaus just branches of his own, but Khrushchev was adamant that only completely autonomous organizations would be acceptable. Yangel was easily selected for the southern bureau and was made manager of factory 586. His job was to convert it to an independent missile design and production facility. Since Korolev had never been able to put him on a leash anyway, he was well suited to this role. The enabling decrees were issued in April-July 1954. Yangel moved to the Ukraine and began development of the R-12 in earnest. When the R-12 began state trials in 1957, the Soviet military was finally provided with a usable ballistic missile weapon. It was the first Soviet ballistic missile to be put into mass production. In the absence of a usable ICBM from Korolev, the R-12 played a key role in the Cold War when it was deployed to Cuba in 1962, precipitating the Cuban Missile Crisis. By the time the last R-12 was destroyed under the terms of the Intermediate Nuclear Forces Treaty - on 21 May 1990 � the Cold War was over. The success of the R-12 and the willingness of Yangel to listen to the needs of the military led to follow-on mass production orders for the R-14 IRBM and the R-16 and R-36 ICBM's. The R-16 finally provided the Soviet Union with an ICBM to counter the Atlas and Titan missiles being deployed in the hundreds by the United States. However it was also responsible for a terrible accident when the first prototype blew up on the pad on October 24, 1960, killing Nedelin, the Chief of the rocket forces, and nearly 100 others. Yangel was only saved because he had gone into a bunker for a smoke just before the explosion. By this time the space age was under way and despite the press of missile work, Yangel managed to carve a niche for himself by being assigned responsibility for development of the lightweight Cosmos 63S1 launcher (using the R-12 as a first stage) and its accompanying DS (Dnepropetrovsk Sputnik) satellites. These began flying just fourteen months after go-ahead. 185 were launched and performed a range of scientific, technological, and military missions. Reshetnev used the R-14 IRBM for the Kosmos-3 launcher, which remained in use into the next millennium. Yangel's attempts to get a bigger role in the space program were less successful. From around 1961 he had designed the mammoth R-46 ICBM and the R-56 space launcher against the GR-2 global rocket requirement. Chelomei's Proton UR-500 was selected for the global rocket requirement and Korolev's N1 for the super booster requirement, but Yangel continued to refine the design of the R-56. By 1965 Yangel had decided that the bitter fight between Chelomei and Korolev over control of manned programs was damaging the Soviet space effort. In any case he could see that the size of the projects had reached such a scale that it was impossible for one design bureau to handle all of the required elements. He proposed a collaborative effort: Yangel would design and build the launch vehicle; Korolev the manned spacecraft; and Chelomei the unmanned spacecraft. However this was not to be. The leadership was loath to change course with funds already invested in development of boosters and spacecraft by Chelomei and Korolev. The other Chief Designers objected that use of the R-56 for a manned lunar landing would require two R-56 launches in the place of one UR-700 or N1 launch. This would mean use of untried earth orbit rendezvous techniques to assemble the spacecraft in earth orbit. Development of the R-56 was not authorized, and for once in his career Yangel gave up the fight. As a practical matter it was not possible for one bureau to handle the moon-landing project. Although Glushko and Chelomei refused to co-operate with Korolev on the effort, most other rocket design bureaus were involved. Yangel agreed to develop the critical rocket stage of the LK lunar lander that would have landed a cosmonaut on the moon. The LK flew in three flawless unmanned test flights in 1970-1971. Yangel died in 1971 soon after completion of three flawless unmanned LK flights, content that he had done his part for the program. The organization he had created continued to be the sole supplier of heavy ICBM's to the Soviet Union. They were tasked with developing the new-generation booster stages for the Zenit and Energia launch vehicles in 1976. After the fall of the Soviet Union, Yangel's factory wound up in the independent country of the Ukraine. The Zenit went on to successful international commercial use by the Sea Launch consortium, providing the major source of foreign revenue for the country. Country: Russia. Agency: Yuzhnoye. Bibliography: 433, 539, 6234. 1911 October 25 - . Birth of Mikhail Kuzmich Yangel - . Nation: Russia. Related Persons: Yangel. Soviet Chief Designer 1954-1971 of OKB-586. Preeminent designer of ballistic missiles and light satellites. His Ukraine bureau designed the R-12 and R-14 IRBM's; the heavy R-16, R-36, and R-36M ICBM's; and the Zenit space launcher,. End of 1953 - . LV Family: R-12. Launch Vehicle: Kosmos 2. Khrushchev and Ustinov decide to create additional independent missile design bureaux - . Nation: Russia. Related Persons: Khrushchev, Korolev, Makeyev, Ustinov, Yangel. Khrushchev desired to decentralise the missile industry, since a single nuclear bomb on Moscow would wipe out Korolev's factories. Ustinov was requested to draw up a plan for two additional completely independent missile design bureaux, one in the south of the Soviet Union, the other in the Urals. It was also envisioned a third bureau would be built in the east, in Siberia, but this was never done. This effort cost tens of billions of roubles. While the managers and lead technical staff would be taken from Korolev's bureau, the working engineers, technicians, and workers for the bureau and associated factories would be recruited locally at each site. This would avoid the additional expense of building extra housing. Korolev fought to keep control, wanting to make the new bureaux just branches of his own, but Khrushchev was adamant that only completely autonomous organisations would be acceptable. Yangel was easily selected for the southern bureau, and the young Makeyev was a more contentious selection for the Ural bureau. 1954 July 9 - . Yangel named Chief Designer. - . Nation: Russia. Related Persons: Yangel. Decree 'On appointment of M. K. Yangel as Chief Designer of OKB-586' was issued..
Summer 1958 - . Launch Vehicle: R-16. Khrushchev conceives of use of silos for Soviet long range missiles - . Nation: Russia. Related Persons: Barmin, Khrushchev, Korolev, Yangel. Khrushchev independently conceived of the idea of storing and launching ballistic missiles from subterranean silos. He called Korolev to his dacha in the Crimea. Korolev told him his idea was not feasible. He then called Barmin and Yangel. Barmin said he would study the idea. Yangel remained silent. Some time later Khrushchev's son saw a drawing of the same concept in a US aerospace magazine. He informed his father, who ordered immediate crash development of the first generation of Soviet missile silos. Summer 1959 - . Launch Vehicle: R-16. Khrushchev tours Yuzhnoye facility and directs creation of Strategic Rocket Forces (RVSN) - . Nation: Russia. Related Persons: Khrushchev, Nedelin, Yangel. Khrushchev tours Yangel's missile factory at Dnepropetrovsk. At this time Yangel was developing the R-16, equipped with an autonomous inertial navigation unit -- while Korolev was still using radio guidance. Leonid Smirnov was manager of the factory (he would later be made Deputy Chairman of the Council of Ministers, reporting to Ustinov). The delegation included Rudnev, Kalmykov, Serbin, Nedelin and Podgorny. Yangel told the leaders to think of the R-16 as an R-12 stacked atop an R-14. In this way he was able to quickly develop an ICBM on the basis of existing rockets. He expected to have an R-16 test article ready for tests with the first ICBM silo by September 1959. Khrushchev was overjoyed and discussed his plans to create an entirely new branch of the service - the RVSN, Strategic Rocket Forces. The Soviet Union had no real equivalent to the US Strategic Air Command and the VVS Air Forces would not handle ballistic missiles correctly. He asked Nedelin to draw up a plan to create the new branch. There was no objection form the leadership or military chiefs. None of the military services wished to handle the missiles. 1960 May 30 - . Korolev space development plan - . Nation: Russia. Related Persons: Chelomei, Korolev, Yangel. Spacecraft: Kosmoplan. Korolev revised his earlier, disapproved plan with one that now included participation of his rivals, Chelomei and Yangel..
1960 June 23 - . Launch Vehicle: N1. Soviet plan for mastery of space issued. - . Nation: Russia. Related Persons: Chelomei, Korolev, Yangel. Spacecraft Bus: TMK. Spacecraft: TMK-E. Decree 715-296 'On the Production of Various Launch Vehicles, Satellites, Spacecraft for the Military Space Forces in 1960-1967' authorised design of a range of spacecraft and launch vehicles by Korolev, Yangel, and Chelomei. The decree included the N1 (development of launch vehicles of up to 2,000 tonnes liftoff mass and 80 tonne payload, using conventional chemical propellants) and nuclear reactors for space power and propulsion. 1961 January 26 - . Venera delays - . Nation: Russia. Related Persons: Yangel. Spacecraft Bus: 2MV. Spacecraft: Mars 2MV-2. The Object V launch is delayed to 1 February. Yangel has also had to postpone the next R-16 launch attempt to 26-30 January..
1961 January 31 - . Back at Tyuratam - . Nation: Russia. Related Persons: Keldysh, Korolev, Moskalenko, Semenov, Yangel. Spacecraft Bus: 2MV. Spacecraft: Mars 2MV-2. Kamanin flies to the cosmodrome with Korolev, Keldysh, Moskalenko, General Semenov, and others. Yangel's R-16 ICBM is not ready for launch yet due to continuing problems with the radio systems. The Venera is set for a 2 February launch attempt..
1961 June 1 - . Launch Vehicle: N1. Moon program go-ahead in response to U.S. start - . Nation: Russia. Related Persons: Chelomei, Korolev, Yangel. Program: Lunar L1. Class: Manned. Type: Manned spacecraft. Spacecraft: LK-1, Soyuz A, Soyuz B, Soyuz V.
Chelomei is informally asked by Khruschev to begin design of a booster and spacecraft for a manned circumlunar mission (UR-500 Proton and LK-1). There is no authorization for a lunar landing program, although Korolev, Yangel, and Chelomei all begin booster designs. 1962 During the Year - . GR-2 (Global Rocket 2) requirement. - . Nation: Russia. Related Persons: Chelomei, Korolev, Yangel. The GR-2 was to be a kind of enormous multiple-warhead FOBS (fractional orbit bombing system). Competitors included Korolev's N-11GR; Chelomei's UR-500; and Yangel's R-56. 1962 During the Year - . Launch Vehicle: UR-700. Development of RD-270 engine begun - . Nation: Russia. Related Persons: Chelomei, Yangel. Program: Lunar L3. Class: Moon. Type: Manned lunar spacecraft. Spacecraft Bus: TKS. Spacecraft: LK-700. The RD-270 engine was proposed for Chelomei's UR-700 and Yangel R-56 lunar landing launchers in competition to Korolev N1. The RD-270 was in the same class as the F-1 engine developed for America's Saturn V launch vehicle, but burned storable but toxic propellants. During February 1962 - . Pitsunda Conference - Decision to start design of UR-500 and N1 lunar boosters - . Nation: Russia. Related Persons: Chelomei, Grechko, Andrei, Khrushchev, Korolev, Kozlov, Mikoyan, Ustinov, Yangel. 1962 September 24 - . N1 and GR-1 authorised. - . Nation: Russia. Related Persons: Keldysh, Korolev, Yangel. Program: Vostok. Central Committee of the Communist Party and Council of Soviet Ministers Decree 1021-436 'On start of work on the N1 and GR-1' was issued. Following a review of the N1 project by an Academy of Sciences expert commission headed by Keldysh in July, this decree provided a detailed plan leading to a first launch by the end of 1965. Planning and drawing release for the GR-1 were completed by this date and the decree ordered test flights to begin in the third quarter of 1963. However development problems with the NK-9 engine resulted in continual delays. Finally in 1964 Korolev's GR-1 was cancelled and Yangel's R-36 was selected for the mission. This would deprive Korolev of a vital test-bed for flight test of the N1 engines. February 1963 - . LV Family: UR-100. Launch Vehicle: R-26. Council of Fili - . Nation: Russia. Related Persons: Brezhnev, Chelomei, Khrushchev, Kozlov, Yangel. The Soviet leadership reviewed missile development since the Pitsunda meeting. Both the Yangel R-26 and Chelomei UR-100 were proposed as small ICBM's to be put into mass production as a counter to the American Minuteman. The UR-100 was an ampulised missile with a guaranteed ten-year storage life. Yangel had not solved the problems of long-term storage of corrosive storable fuel yet. Therefore Khrushchev, supported by Kozlov and Brezhnev, selected the UR-100. A decree for mass production was issued on 30 May 1963. 1964 July 19 - . Korolev obtains preliminary approval for a single-launch, lunar orbit rendezvous, manned landing. - . Nation: Russia. Related Persons: Bushuyev, Chelomei, Feoktistov, Glushko, Korolev, Mishin, Smirnov, Yangel. Program: Lunar L3, Lunar L1. Spacecraft: L3-1963, LK, LK-1, Soyuz 7K-LOK. 1964 September 24 - . Launch Vehicle: N1. Khrushchev visits Baikonur - . Nation: Russia. Related Persons: Belyayev, Brezhnev, Chelomei, Gagarin, Glushko, Khrushchev, Korolev, Leonov, Smirnov, Ustinov, Yangel. Flight: Voskhod 2. Spacecraft: Berkut, LK-700, Voskhod. This was his last visit, just weeks before his overthrow. The Soviet leadership were shown the UR-100 and observed launches of the competing UR-200 and R-36. Khrushchev agreed with the decision to put the R-36 into production instead of Chelomei's UR-200. He felt he couldn't turn down Yangel a third time after approving Korolev's N1 instead of Yangel's R-56 and Chelomei's UR-100 instead of Yangel's R-26. Khrushchev decided to cancel Korolev's badly behind schedule R-9A, even though Smirnov and Ustinov insisted they wanted it in their arsenal (in May 1965, after Khrushchev's overthrow, this decision was reversed and the R-9A went into production). Khrushchev also visited a secret space fair, with Korolev, Chelomei, Yangel, and Glushko presenting their rockets and spacecraft. Chelomei presented his UR-700 heavy lift design as an alternative to Korolev's N1. This presentation was a surprise to Ustinov and Dementiev. Khrushchev ordered Chelomei to prepare a draft proposal for the design. Chelomei hoped that 12 to 18 months later, when the UR-700 draft project would be completed, the fallacy of Korolev's N1 design would be apparent to all. Korolev's N1 plans were also reviewed and approved at the meeting. Over the two days, Khruschev witnessed five launches of rockets by Korolev, Yangel, and Chelomei, all of them successful. Gagarin and Belyayev explained the Vykhod spacecraft to him, and Leonov donned a spacesuit and demonstrated how he would exit into open space form the inflatable airlock and return thereafter. All went very well. This was the last time Khrushchev saw the chief designers of the Soviet rocket industry. Despite his support for them not one of them visited him in his retirement. Korolev's admits that N1 cannot attain payload needed for single-launch mission - . Nation: Russia. Related Persons: Babakin, Brezhnev, Chelomei, Khrushchev, Korolev, Kozlov, Lavochkin, Ustinov, Yangel. Program: Lunar L3. Spacecraft: LK, LK-700, Soyuz 7K-LOK. 1965 During the Year - . Launch Vehicle: R-56. Yangel proposes collaborative Soviet moon landing project using R-56 launch vehicle - . Nation: Russia. Related Persons: Chelomei, Korolev, Yangel. 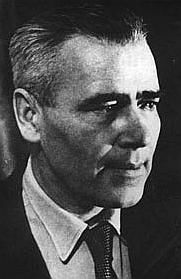 Yangel had decided that the bitter fight between Chelomei and Korolev over control of manned programs was damaging the Soviet space effort. In any case he could see that the size of the projects had reached such a scale that it was impossible for one design bureau to handle all of the required elements. He proposed a collaborative effort: Yangel would design and build the launch vehicle; Korolev the manned spacecraft; and Chelomei the unmanned spacecraft. However the leadership was loath to change course with funds already invested in development of boosters and spacecraft by Chelomei and Korolev. 1965 August 24 - . Development of R-36-O and Tsyklon launch vehicles authorised - . Nation: Russia. Related Persons: Chelomei, Keldysh, Yangel. Spacecraft: IS-A, OGCh, US-A. Decree 'On Creation of an R-36 Based Carrier Rocket for Launching the IS and US KA--start of work on an R-36-based launch vehicle for the IS and US programs' was issued. After Khrushchev was ousted from power, Chelomei's projects were examined by an expert commission under M V Keldysh. It was found that Yangel's R-36 rocket was superior to Chelomei's UR-200. The UR-200 was cancelled; the IS and US satellites would be launched by the R-36 11K67. The Tsyklon 2 definitive operational version replaced the 11K67 launch vehicle from 1969. 1968 January 23 - . Three-launch Soviet lunar expedition pitched - . Nation: Russia. Related Persons: Afanasyev, Sergei, Chelomei, Glushko, Grechko, Andrei, Keldysh, Kuznetsov, Mishin, Nadiradze, Pilyugin, Tolubko, Ustinov, Yangel. Program: Lunar L3, Lunar L1. Spacecraft: L3M-1970, LK, Soyuz 7K-L1, Soyuz 7K-LOK. 1968 December 23 - . Launch Vehicle: N1. 1969 May 29 - . N1 State Commission - . Nation: Russia. Related Persons: Afanasyev, Sergei, Barmin, Bushuyev, Chelomei, Keldysh, Mishin, Nadiradze, Okhapkin, Pashkov, Smirnov, Tyulin, Yangel. Program: Lunar L3. Spacecraft: Aelita satellite, LK, Soyuz 7K-L1A, Soyuz 7K-LOK. 1971 October 25 - . Death of Mikhail Kuzmich Yangel - . Nation: Russia. Related Persons: Yangel. Soviet Chief Designer 1954-1971 of OKB-586. Preeminent designer of ballistic missiles and light satellites. His Ukraine bureau designed the R-12 and R-14 IRBM's; the heavy R-16, R-36, and R-36M ICBM's; and the Zenit space launcher,.